Queues, sore feet and overpriced drinks? 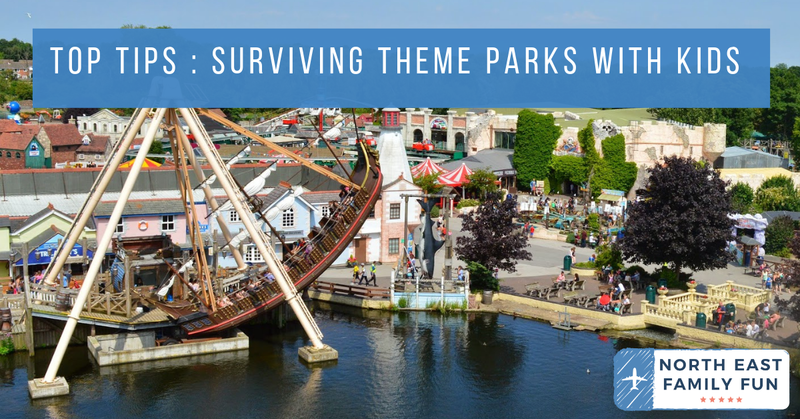 Theme parks can often seem like more of a chore than actual fun. Children and teenagers love them though so sometimes we just have to grit our teeth and survive the ordeal! Here are my top tips for getting through the day. This will usually allow you up to an hour's access to the theme park before the general public can enter - use this time wisely and visit the rides near the entrance that are likely to have long queues later in the day. Nobody likes carrying bags around all day - do your research and find a central place where lockers are situated. Pack a picnic, suncream and anything else you may need into the locker. The only thing you need to carry around should be your phone, a small amount of cash and a drink. I tried this tip out recently at Paulton's Park and Drayton Manor - we left Peppa Pig world and Thomasland until the end of the day and I was amazed at how much quieter it was. We walked onto every ride straight away without queuing despite it being a very sunny day in the school holidays. There will be notices around the park informing you when the ride queues will close. Standing in queues all day and going from one ride to another can be exhausting! Make the most of your day and plan a couple of breaks - most theme parks have other attractions such as 4D cinemas, zoo's, entertainment shows or water parks. They are usually included in the admission price and ensure your day doesn't feel like the longest day ever! Unfortunately, this always seems to be the only option. Either be firm and explain there is no spare cash (in which case don't even stay and browse) or be prepared and make sure your children have saved pocket money of their own to spend. Theme park restaurants are usually brightly lit, hectic, noisy and expensive and offer no respite or sanctuary from your hectic day. Most parks have gardens or quiet picnic areas where you can properly relax, re-charge your batteries and take time out from the madness of the day. 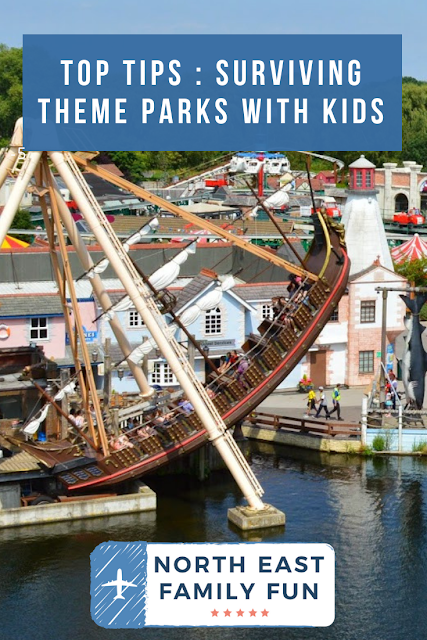 If it is your first time at a particular theme park, make sure one of the first things you do is take a train ride around the park to get your bearings. There is nothing worse than your child spotting a ride, you go to join the queue and realise they are too small! Plan ahead by measuring your child and check which rides they are able to enjoy on the park's website before you arrive to avoid disappointment. Everybody has had an exhausting day and your car has been stuck in a huge car park for hours on end. Buy an ice cold drink from the theme park on departure to make the journey home a little more comfortable.